Institutional Review Blog: Limited-Time Offer! Act Now! 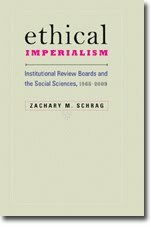 SAGE has kindly made my article, "The Case against Ethics Review in the Social Sciences," free to access for a month. Download it while you can!